Sizing is OUT TO LUNCH!!! I ordered the 6-12 month for my 10 month old who is 20 pounds. It is HUGE. I had my 4 year old try it on and it almost fits him! The head piece was even big on my 4 year old. Have to return it. Got a small for my 12 month old and there is no way he can wear it this year; saving it for next Halloween when he won't be swimming in it. I bought the small which says 6-12months. My son is 14 months old and this is way too big. It could fit a 3 year old. 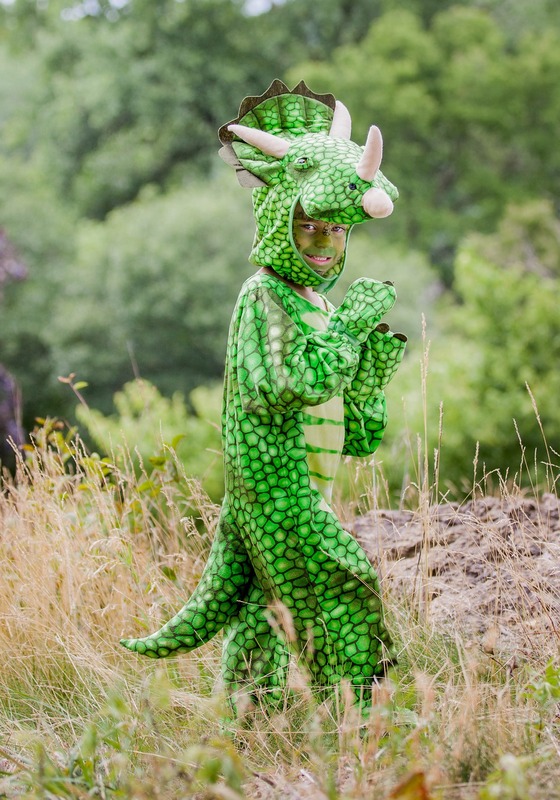 This triceratops costume is so cute. I got a 6-12 month size and it is extremely big on him. He’s only 4 months old, but is 18 pounds and 27 inches long. 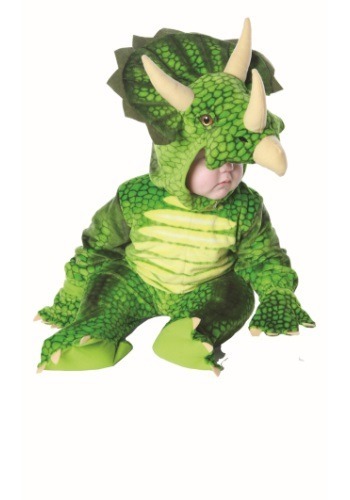 He wears 6-9 month clothes, but the sizing is way off for this costume. It’s even way too big on my 2 and 1/2 year old. I’m going to have to sew it up a lot to try and get it to fit. That sounds like an adorable combo! Thank you for the review, we appreciate the feedback. My son is 15 months old. He is a little taller than average. I used the find a size on the website and they recommended a 18-24 month. I thought that may be a little snug so I went up a size to a 2t-4t. I figured it would be a little big. Well it was quite a shock to me to see the costume so tight over his shoulders and was very uncomfortable and tight in his diaper area. I'm very disappointed and would NOT recommend this item. Size said 2t-4t. Barely fit, and my son isn't even a full 3t. Sleeves and legs were too short and it was short in the torso, so was tight in the critch area. The first time I put it in him the seam in the shoulder came out. I wasn't impressed overall with the costume. My son enjoyed it anyways ( I didn't have time to get another one so he still wore it), but without accurate descriptions I probably will not purchase online again. My son should have easily fit in a 2t-4t and this seemed closer to an 18 month size. No way a 4t kid could wear it.